Freshly grown fruit is one of nature’s healthiest foods, and also among the tastiest. A piece of fruit, be it an apple, pear, orange, cherry, strawberry or other types of fruit, is a compact container of natural goodness, including vitamins, sugars, enzymes and other components that are essential to the healthy operation of the human body. Dieticians affirm that a diet consisting mostly of fresh, properly-grown fruits and vegetables, along with small amounts of protein derived from non-meat sources such as whole grains, is a detoxifying, cleansing diet that will provide all necessary ingredients for vigorous growth and metabolism while reducing risk of cancers and other problems that come from diets high in meat, poultry, processed foods, and dairy. Unfortunately, the agrifood industry has harmfully changed the eating habits of our entire culture. And as more and more fast food and junk food has been eaten, as more chemicals have been used in agriculture, as more factory farms have been used to produce flesh foods, our culture has seen a resultant rise in diabetes, heart disease, obesity and other health problems that are directly tied to the food we eat. Commercial, conventional agriculture is a big cause of this problem. 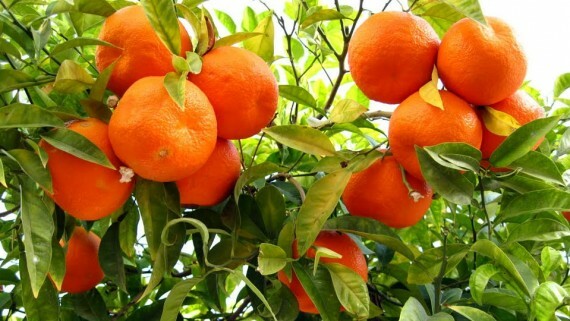 The typical commercial fruit orchard produces fruit that has less nutritional value, flavor and safety than fruit grown using high-quality inputs and methods. Commercial non-organic agriculture uses poisons, inferior fertilizers and poor quality control methods. Fruit is sprayed with chemicals, picked early, often coated with wax or other preservatives, stored and shipped in refrigerated compartments, and then placed in stores. Indeed, methods used by commercial agriculture have actually decreased the nutritional value of many fruits and vegetables. The good news is that you can grow your own fruits and vegetables, using soil or hydroponics methods. You can produce delicious food for yourself without relying on the commercial agriculture industry! According to a study published in 2004, the nutritional quality of fruits and vegetables has declined drastically in the past 50 years. Donald Davis, a biochemist at the University of Texas, scientifically evaluated the nutritive content of fruits and vegetables as tracked by the United States Agriculture Department from 1950 to 1999. 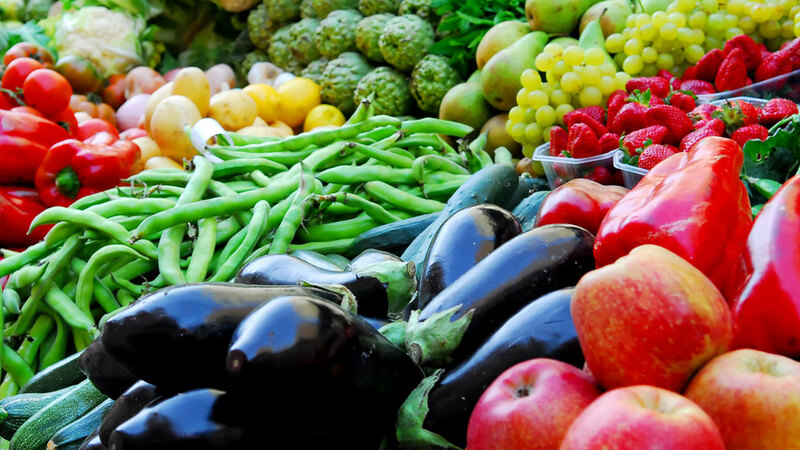 Of 13 major nutrients provided by fruits and vegetables, six showed noticeable declines. The important nutrients that fruits and vegetables provide to humans are protein, calcium, phosphorus, iron, riboflavin and vitamin C. The declines ranged from 6 percent for protein, 15 percent for iron, 20 percent for vitamin C, and 38 percent for riboflavin. “It’s an amazing thing,” said Davis, adding that the decline in nutrient content has not been widely noticed, adding that another agricultural researcher first discovered the decline in nutritive values in 1981. Davis suspects that industrial agriculture’s reliance on crops that grow the fastest and biggest is a reason for the decline. The kinds of crops commercial farmers select now are unable to acquire and manufacture nutrients when compared to traditional varieties of the same crops. The predictable and standard response from those who represent the commercial agriculture and food industry is that it really doesn’t matter if fruits and vegetables have less nutritional value for humans. What matters, they say, is that chemical agriculture can produce large amounts of food. Quantity is more important than quality, they allege. For example, Al Bushway, a food-science professor at the University of Maine and a spokesperson for the “Institute of Food Technologists,” said declining nutrients in vegetables and fruits could be made up by eating other foods or by drinking more milk. Pollan is an extremely-talented investigative journalist whose previous book, “The Botany of Desire,” examined several plant species that have had huge impact on humans. The Omnivore’s Dilemma dissects the agriculture and food production industries, and provides shocking evidence that the sole agenda of these industries is to make massive profits regardless of harm to human and ecological health. Pollan notes that the commercial agribusiness/food industry has mounted a subtle but potent campaign to convince humans that Nature doesn’t know how to design foods for humans, and that the commercial food production system does. This campaign goes beyond just asserting that commercially produced foods are as good as (or not harmful) when compared to organic foods. Pollan shows how the cynical, advertising-driven, relentlessly capitalist agrifood industries actually want to convince us that natural foods are bad for us. In the minds of agrifood marketers, humans would be better off eating inert substances that are flavored and textured to resemble natural foods. Vitamins and other nutritional components are injected into this material. It is similar to the faux food served to the intergalactic travelers on the sci-fi series Star Trek. It looks like food and it tastes like food, but only in a “virtual” way- it is actually material designed to substitute for food. If this sounds far-fetched, all you have to do is a little research and you will see that growing your own fruits and vegetables is a lot smarter than buying commercial fruits and vegetables. Read the book “The Hundred Year Lie,” and you’ll see plenty of evidence that proves that commercially-produced fruits and vegetables, along with manufactured foods and pharmaceutical medicines, are causing severe health problems for millions of people. In the current food and agriculture environment, where profits are god, and more and more people are eating artificial foods, fast foods and junk foods, it is no surprise that the agribusiness industry is using huge amounts of poisons to grow crops. A recent report from Consumer Reports reveals unsafe levels of pesticide residues on most commercial fruits and vegetables, including many grown in the United States. The report scored produce based on how many samples contained pesticides, the average amount of pesticides, and the toxicity level of the pesticides found. Surprisingly, bananas, which used to be heavily dosed with pesticides, scored only four. One chemical, methyl parathion, accounts for more than 90 percent of the total toxicity load of peaches, apples, pears, green beans and peas. The high toxicity values for winter squash from the U.S. are almost entirely due to residues of dieldrin, a very toxic, carcinogenic insecticide that was banned 25 years ago, but persists in some agricultural soils. The data shows widespread use of illegal insecticides that are supposedly banned. It is commonly thought that imported foods from Mexico and South America are more contaminated than U.S. grown foods, but 11 of the 12 highest contaminated foods are U.S. grown. The presence of unsafe amounts of dangerous poisons is especially harmful to children, who are smaller and more sensitive to pesticides than adults are. Pesticides contribute to learning disorders, physiological disorders, brain injury, and long-term health problems in children and adults. Commercial agriculture’s reliance on chemicals, genetic engineering, monoculture cropping, land devastation and petrochemical-based machines and fertilizers doesn’t just harm human health; it also harms entire ecosystems and all organisms therein. Pesticides and herbicides used in commercial agriculture harm ecosystems and wildlife directly and indirectly. Wildlife can become sick or die when exposed to many types of agrichemicals. Wildlife is exposed to pesticides when they eat the residues on plants and in insects. Bird eggs and young birds in nests may be exposed during spraying operations. Wildlife made sick by pesticides may neglect their young, abandon their nests, and become more susceptible to predation and disease. Pesticides and herbicides harm wildlife when the quantity or quality of their habitats is reduced due to use of poison. For instance, insecticides that drift into a stream can kill aquatic invertebrates and reduce food supplies for ducks or fish. When herbicides are sprayed on wildlife habitats, valuable vegetative cover is reduced. Species that live in or around places where agricultural chemicals are used are exposed to insecticides when they eat chemical residues on plants or in insects. Wildlife in fields or that enter fields soon after an insecticide is sprayed are harmed by inhaling vapor or when the insecticide contacts their skin or eyes. Many insecticides used by agribusiness cause wildlife deaths; these include dimethoate (Cygon) and diazinon. Most insecticides and miticides are highly toxic to wildlife; these include formetanate (Carzol), methomyl (Lannate), chlorpyrifos (Lorsban), oxamyl (Vydate), and methidathion (Supracide). The toxicity of these insecticides to wildlife is similar to insecticides known to immediately cause wildlife deaths. Wildlife that has not fully recovered from a previous exposure to an insecticide is more likely to die if they are exposed again. Commercial non-organic growers use chemicals to kill bacteria, nematodes and fungi. These chemicals are called nematcides, fumigants, bactericides and fungicides. Some of these chemicals are highly toxic and remain in the food chain for long periods of time. These chemicals have been implicated in the death of beneficial soil life, such as earthworms, as well as the poisoning of birds and mammals. Commercial growers use paraquat (Gramoxone), which is moderately toxic to birds and highly toxic to embryos when applied directly to eggs, and which has health effects that harm humans. Paraquat, pendimethalin (Prowl), oryzalin (Surflan), and sethoxydim (Poast) have moderate to high toxicities to fish. Chemicals and other agribusiness techniques results in dead soil. Most corporate farming is conducted on once-rich soil that has now become toxic, devoid of life, and marginal. Beneficial soil microbes, enzymes and other factors present in healthy soil on organic farms has been killed. Soil on corporate farms has zero nutrient value and is as dull and lifeless as rockwool. Perhaps you don’t care about ecosystems, wildlife and fish. But there’s something else to think about: if commercial agriculture uses materials that kill other animals, how is it possible that those same chemicals will have zero effect on us? The bottom line is that commercially-produced fruit and vegetables are a bad deal for us and the environment. They are grown in ways that harm the earth and its creatures. They contain fewer vitamins, enzymes and other life-giving components than organic fruits contain. They are infused with chemicals that can harm us. We invite you to consider how good it would feel to look out your windows to see a lush home orchard of fruit trees, vegetables and other edibles produce organically by you. It doesn’t take much work to grow organic fruits and vegetables. You’ll increase the quality of your environment and home while improving your health. With proper planning and the use of quality fertilizers and plant protection formulas made by Advanced Nutrients, you will be able to grow clean, natural, delicious, nutrient-rich fruits and vegetables.